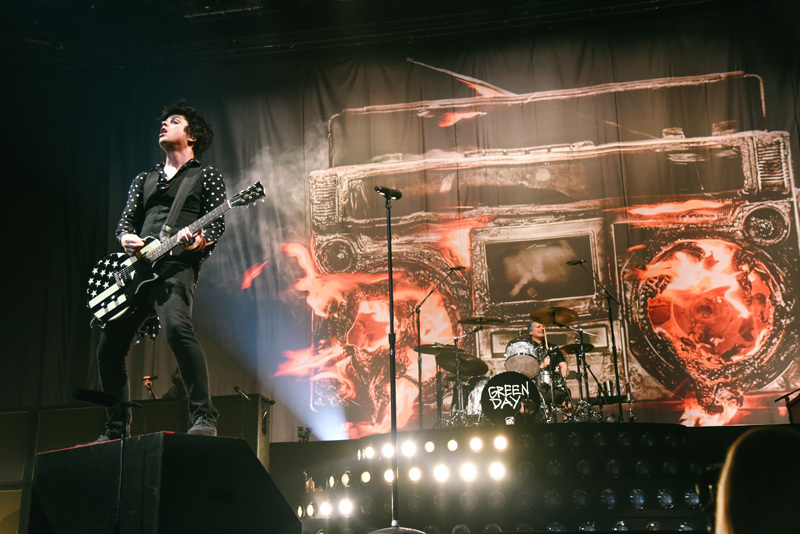 Punk rock legends Green Day have started a revolution–a Revolution Radio, that is. 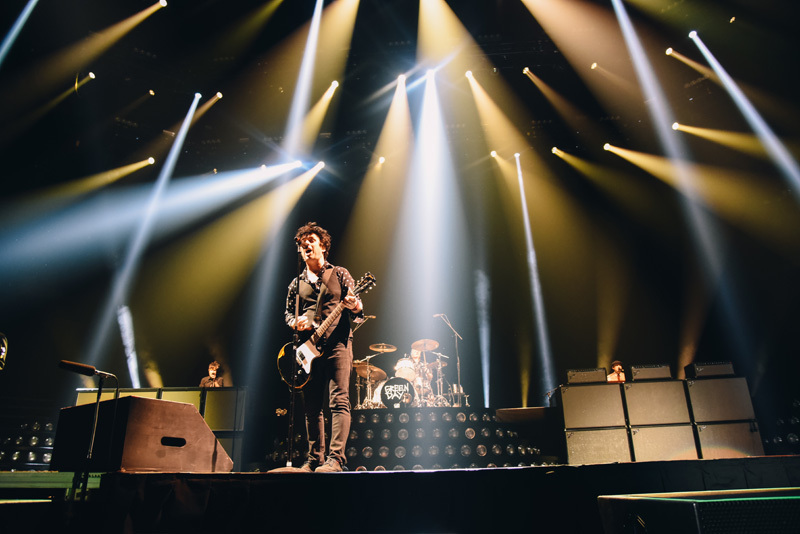 Joining forces in 1990, the trio have had massive success over the past few decades. 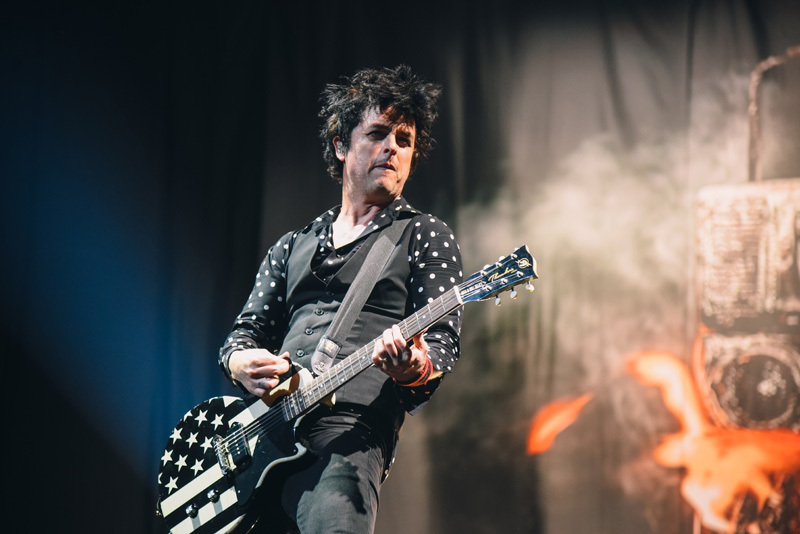 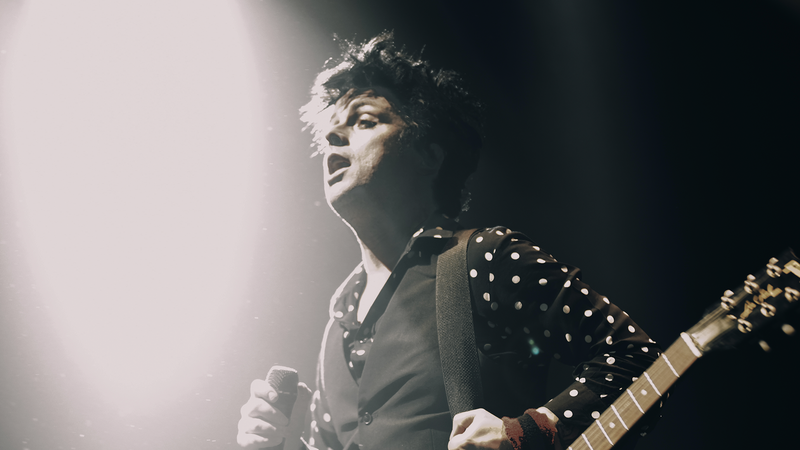 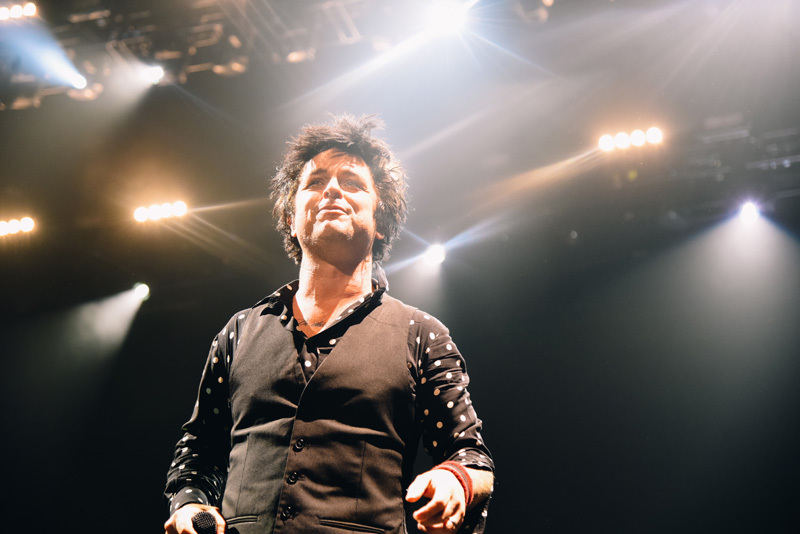 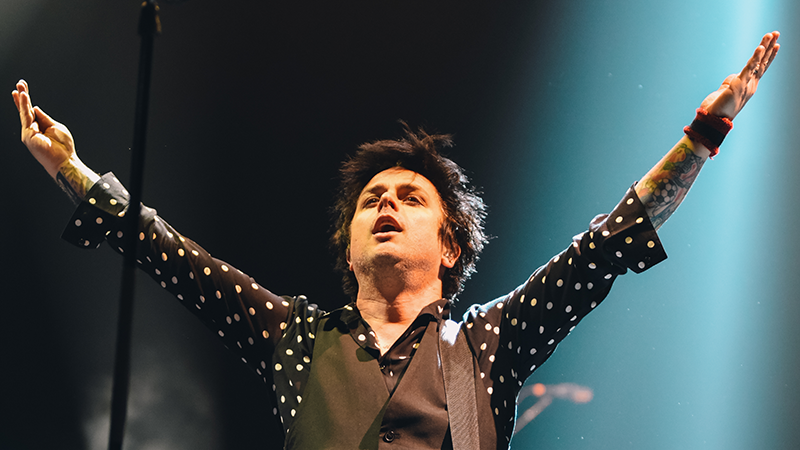 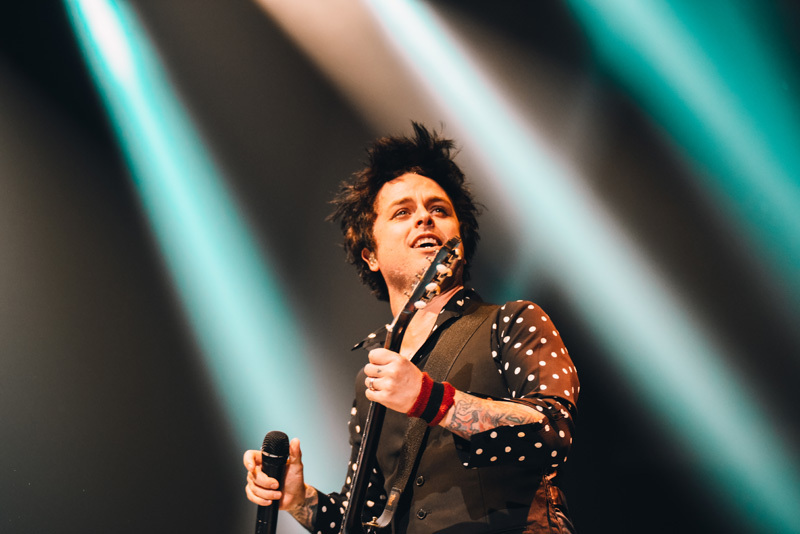 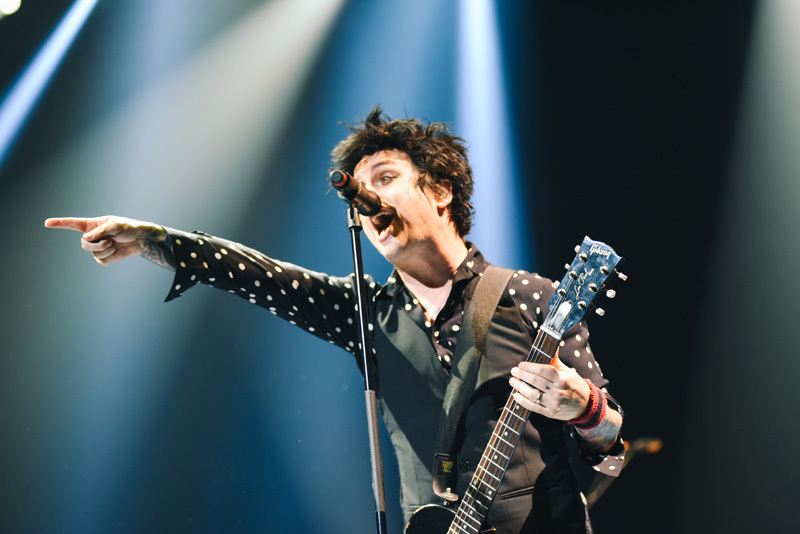 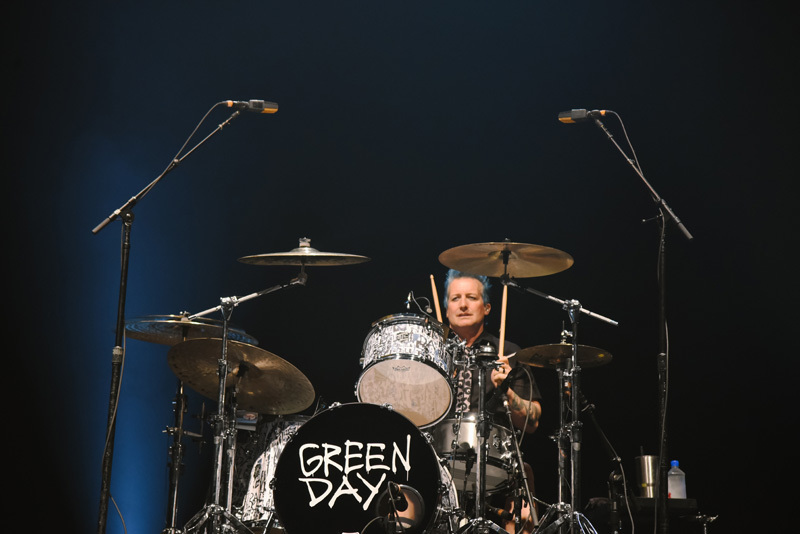 Between releasing a dozen full-length records, creating a successful broadway show, and being inducted into the Rock and Roll Hall of Fame–Billie Joe Armstrong, Mike Dirnt, and Tré Cool have proven to be an unstoppable force. 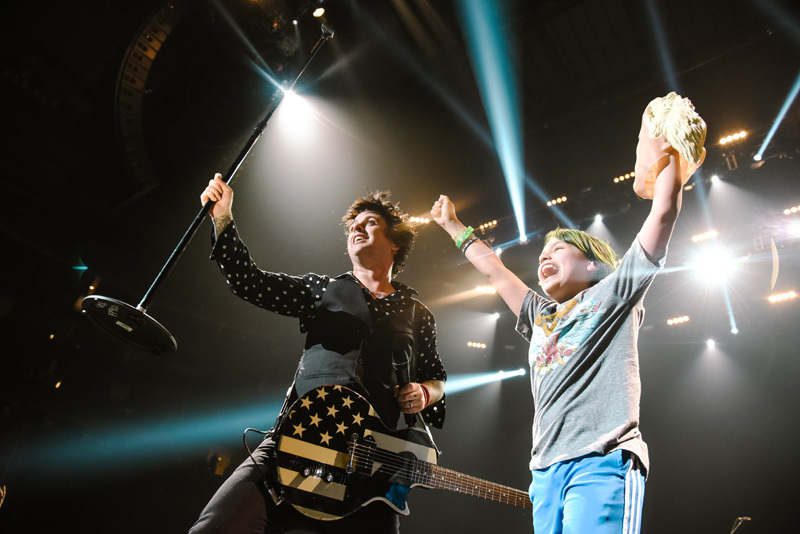 Their most recent triumph? 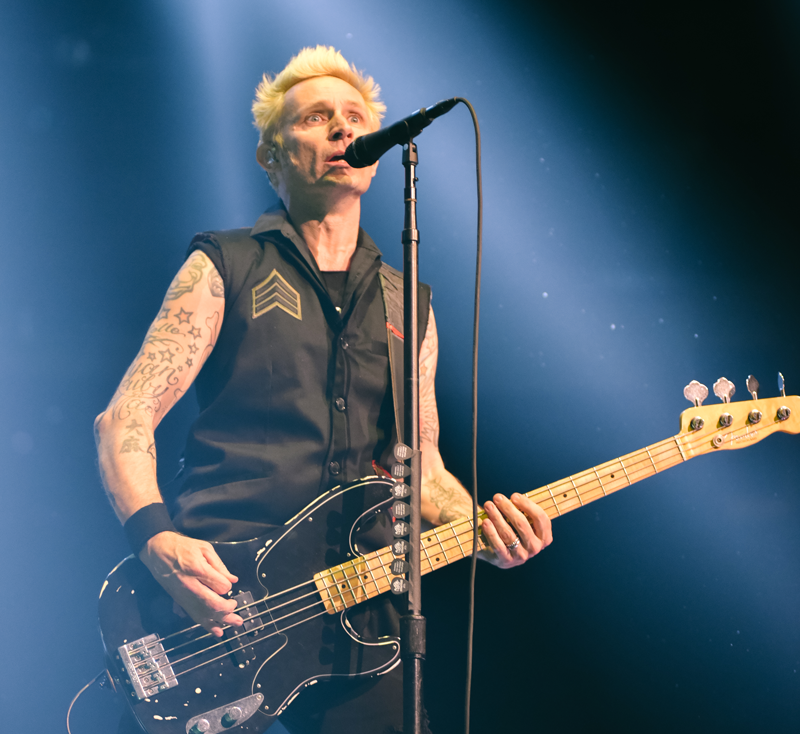 Revolution Radio, their 2016 LP, which became their third to hit No. 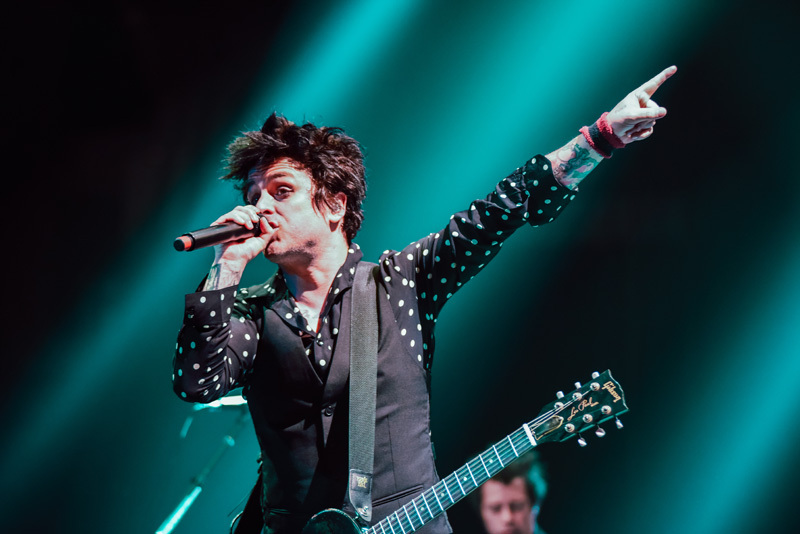 1 on the Billboard 200 Chart. 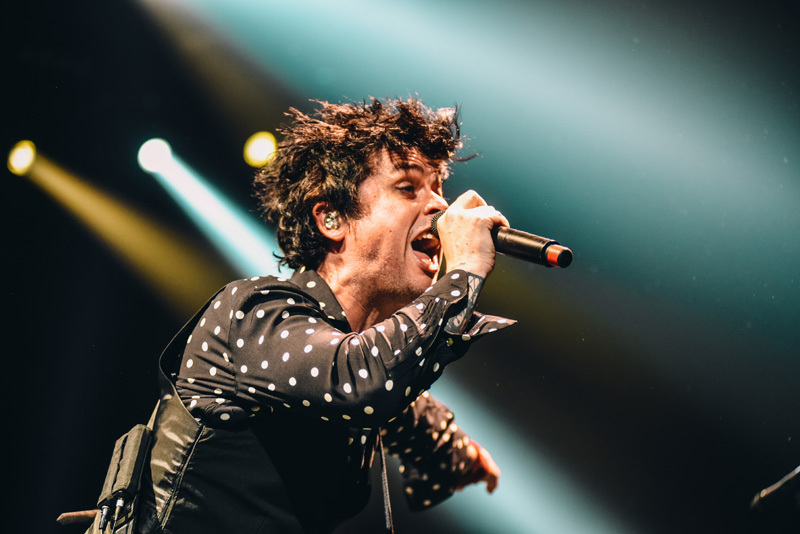 We recently caught five-time Grammy Award-winners at the Toyota Center in Houston, Texas. 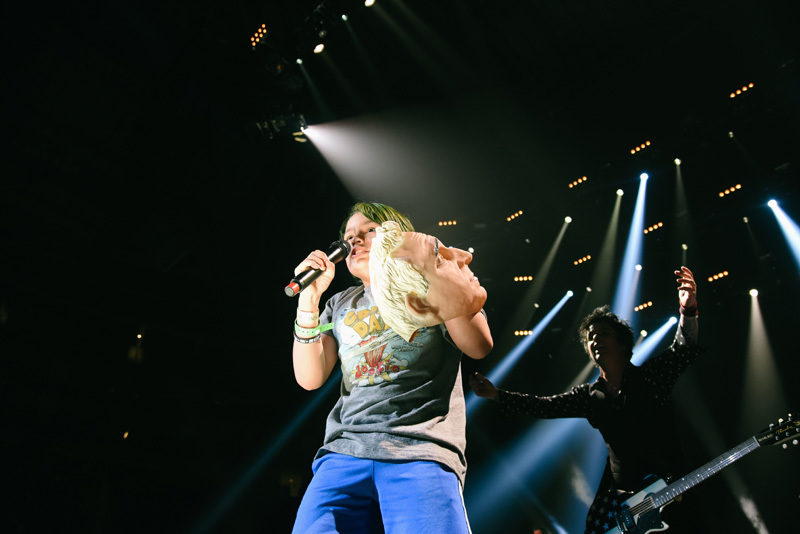 Kicking off the night, the band members (who are known for their interactive shows), invited a fan onstage for the opening number, “Know Your Enemy”. 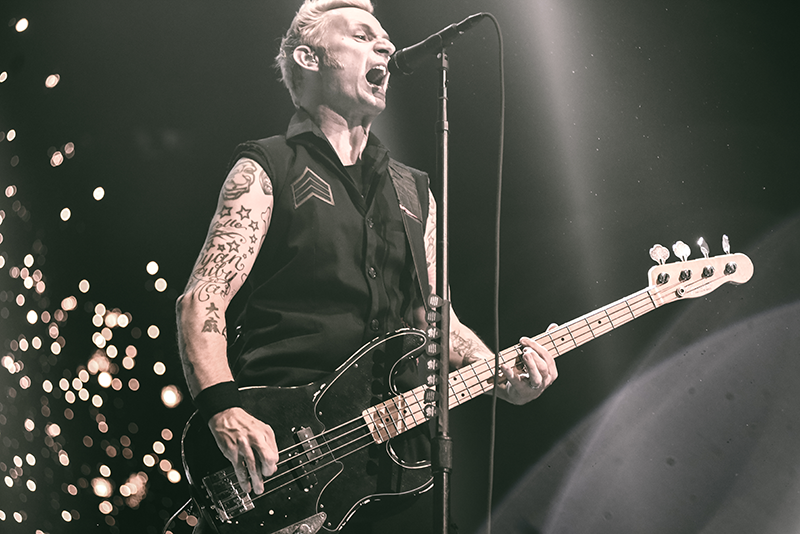 Playing songs spanning their career, the icons ripped through classics such as “Longview” and “Basket Case”, and played new ones like their latest album’s title track “Revolution Radio”. 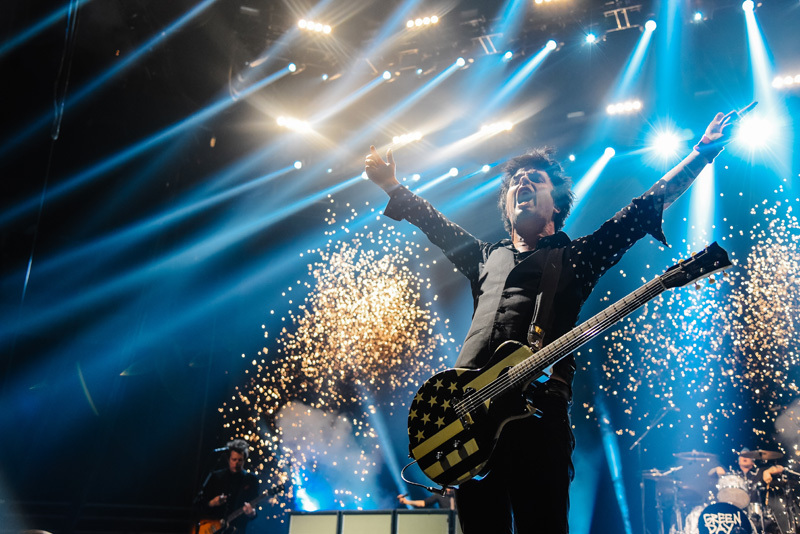 All in all, it was a show that we will never forget, and we can’t wait to see them again. 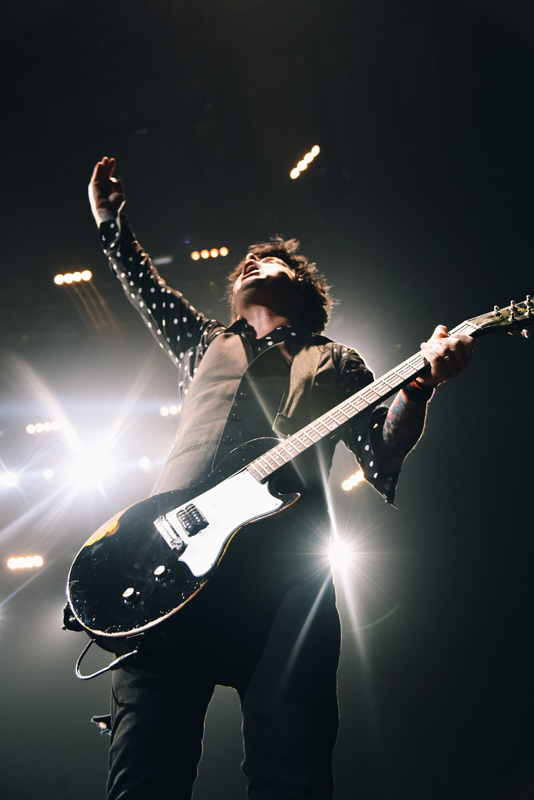 Check out our photos from the concert below, and don’t forget to track Green Day on Bandsintown so you never miss them in your city.